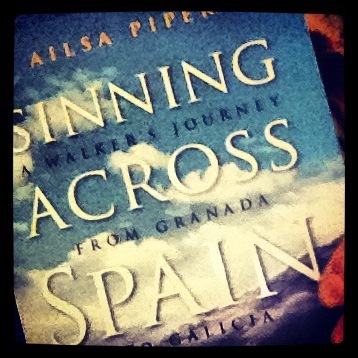 I’m holding a copy of the reprint of Sinning Across Spain. I may be a long way from having a publishing phenomenon on my hands, but I feel such gratitude that the book has found people who have enjoyed it and told others about it and given it to friends. It’s such a wonder to me that it has made its way into the world – and that now, with this reprint, it can continue to do that. Thank you with all my heart for support and encouragement. It seems a long time ago that I set off to walk the Camino Mozarabe. There are moments now when I think I am another person. But then I open my mouth to speak about it, and I am back there again, walking the dusty white trails lined with poppies, smelling the neroli in Córdoba or tasting the heat of a sip of sol y sombra at day’s end. Recently, I found this piece of Rilke. I know. I always seem to be finding Rilke. But I wanted to pass it on, because it is such a spur. It reminds us to trust that it’s only by living, sucking up every bit of the juice of life, the sweet and the sour, and then letting it distill and transform, and waiting, waiting, waiting…that writing will come. That all good will come. And so I’m trying to heed Mr Rilke. Living, tasting, waiting. Being patient and grateful. And offering this up to you. I hope it fills you as it does me. And in my memories, in my blood, in newfound gestures and glances, are pieces of every person who has helped or listened or written to me, or offered advice or consolation or encouragement. We are still making a road together. You are making the road for me. I was in the Riverina in the latter part of July. I followed up a reference to Massacre Island in the Bidgee just upstream from Narrandera – from an interview with Noel BEDDOE re his new book – a fictionalised re-telling of the establishment of Narrandera during the time of the Second Wiradjuri War – and a terrible massacre of Wiradjuri people on that island (around 1842). With a friend we tracked down the site – un-marked except by its name on some maps. It led me to thinking about the many positives in my life of interaction with, friendship and kinship connections uncovered and studies undergone – of Indigenous Australia. I wrote a lengthy self-reflection. Then I did a little more research trying to pinpoint the actual identity of a woman who spoke at a small political rally in Inverell after the ousting of Gough WHITLAM and before the election which subsequently confirmed Malcolm FRASER into the role which he had been care-taking. Heady times. (Despite which I might add I feel great respect for those two “players”!) Anyway – I looked up two names: Lola and younger sister Oomera (Coral) EDWARDS – stolen (along with a brother – sent to Kinchela) from their parents in Tingha in 1950 – the two girls subsequently at the Cootamundra Girls Home – and like many, many others – denied the warmth and security of growing up in their own families. Coral was involved with Peter READ in setting up Link-Up – an organisation working to bring members of the Stolen Generations back in touch – as best they could – with the families from which they had been taken. I listened to an Oral History interview with Oomera (Coral) in which she was asked more-or-less to sum up her feelings about the life she had had. While one might expect her to express grief and frustration, anger even – about government policies – and about the difficulties of re-connecting with family – she did not. Grateful, she was – for the experiences she had. Not unlike Rilke in the piece you have brought to our attention – she said that we are given lots of experiences as we grow up – which we don’t understand at the time. They are like suitcases – and eventually somewhere down the track in our lives the time comes when we are able to unpack those various suitcases and understand what happened – to know the meaning of our lives. In Noel BEDDOE’s book The Yalda Crossing – he talks about parcels – as a metaphor for the things which happen – for the way we compartmentalise our lives – parcels which later we unwrap – to deal with things which worry us – murmur to our deeper moral ponderings. I know in my own life it took a long time to see clearly my childhood. The time of childhood for living with the flow – whatever it might be – chasing after kangaroos in the hills or swimming in the creek or studying at school or having friends or religious beliefs and holidays and reading and chores and anger and punishment and all that happens. Then the time for developing a kind of professional/adult life – still with lots of pathways until the time of mid-life crisis (?) – a stage at which one realises there is no longer an easy shift into another life – or that this is the last moment? I was 40 and beginning my Japan studies and life in that land. This is the time when one hears oneself saying such things as “When I was a boy…” but truly it is a time for looking back and understanding something of the gulf of time – the shift of generations. As that period of time moves on – there is very definitely a time for opening up parcels, unpacking suitcases – making sense of one’s experiences – and then in the manner of Rilke – find some way of giving written expression to it. Wow. What an extraordinary generous riff, Jim. 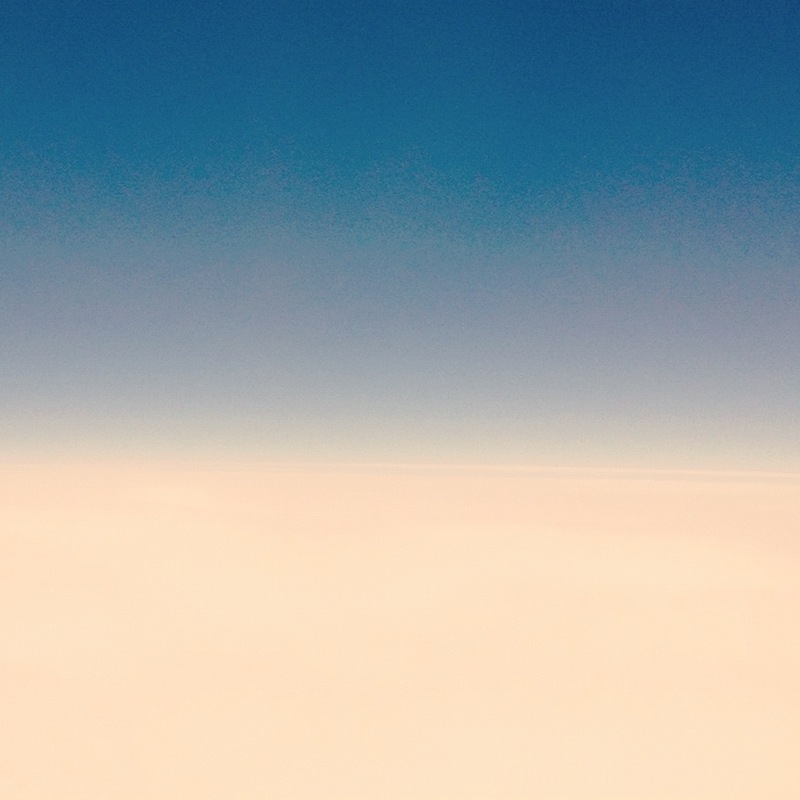 Thanks so much for unpacking Rilke in that way – sorry to overwork the metaphor! Beautiful meditation and I will be interested to know where it will lead next. Thank you again and again. Glad you enjoyed both. Jim’s piece is so generous, isn’t it? I keep finding little threads: in Rilkes words I have sat in a room with some who has died and seen those who are dying ,helped babies into the world and seen the realease from suffering in anothers face as they slip away -this is all through my work (as a paramedic for 25 years)-turning back to look at all as Jim did recently I realised what a blessing it was to have been there for those strangers, it is not the burden that some would suppose. I am preparing to walk the Camino next year, time constraints means that I will have to walk a shorter distance and for a while I have been feeling less authentic, but then I read” these newbies will have barely broken in their packs…….” and realised that the pack I will carry(model name “Walkabout”!) has already been carried by me for hundreds of miles through the beautifull Australian bush so my camino started with the first step I took with it. Looking for a new pair of my favorite model and brand of (discontinued) boots to take withme to Spain I found some in my size,and on the shelf above Merrell siren ventilators! David. Welcome. And huge gratitude for such a heartfelt response to Rilke and to Jim. I imagine you must have seen all and more in your working life. Definitely Camino time if it has called. And the distance is immaterial. Last year I walked from Porto to Santiago. It was deeply rewarding and full. I know yours will be, particularly if it has already begun in Australia. And Sirens??? Oh those Merrell people clearly have some stashed! Buen camino, peregrino. You will make your road by walking. Gracias, and for you -in case you haven’t found it yet http://www.greenaissance.com- I believe you will find two of your passions combined. Safe travelling, to all who read here. Gratitude again David. That is a brilliant site. I have bookmarked it. I love the illustration by Harry S Weekes. Glorious. Thanks for another treat. I bought your book at the Byron Bay Writer’s Festival after listening to your monologue there on the Sunday morning.I have only started reading it but have to say that I’m already hooked. One thing that truly knocked my socks off though was when you said “a part of me hoovered above myself, observing the steps,sweat and smiles,but not feeling them.Out of body,but wholly embodied”. (I had bits of broken shell in my feet the next morning which I could truly feel then).I remember thinking surely I don’t look like that,as I had never seen myself from behind…but I later found out when I got home and used a series of mirrors that I looked exactly like that from behind. I never mentioned this experience to anyone until a few years ago and only a select few,but I never feared the thought of dying from that day on as I knew that my consciousness could survive without a body,which is not the same as saying I wasn’t afraid of dying a horrible death,just confident that death would not be the end. I’ve read heaps of near death stories,but it wasn’t the same as I wasn’t dying at the time.There was no spirit guides,or visions just me floating up above my body and watching it walk along the beach.At first I was a bit worried as how to get back in,but I gradually melded back in,like my consciousness was superimposed over my body. It was the weirdest feeling ever,but a very real feeling,maybe even more real than “waking consciousness”. I have never experienced it since that day,but I will never forget it. I still feel uneasy talking about it to people who have never experienced this before,for fear of being branded a lair or nut. I’m just amazed that you are so candid about it.You sort of joke that it may be an hallucination,but I think you know like I do that it wasn’t. I was just curious to know if this was something that you first experienced in Spain,or whether you have had earlier OBEs? Anyway,back to reading your book. I’ve just finished reading a book called “The Electric Jesus” by Jonathan Talat Phillips that I think you might find interesting. “To better understand his spiritual journey, Jonathan delves into his own Christian background, discovering the lost rites of the mystery schools. Uncovering secret “electric” meanings behind biblical symbols like the serpent, dove, and tree of life, he reveals how early Christians utilized a radical initiation process for harnessing divine energy in order to achieve gnosis, direct knowledge or experience of the divine. Jonathan suggests that these mystical symbols, which appear in spiritual traditions across the globe, offer a profound energetic roadmap and alchemical message for personal transformation, as well as a potential evolutionary shift for our world. I would probably never do ayahuasca because I hate spewing…I always feel like I could easily choke to death,so I avoid the practice when I can. But I like reading about the people who do take ayahuasca. Anyway,I’m glad I picked up your book.It looks good. I’m a little overwhelmed by your comment. So much to digest, and this handheld device is rather inadequate for a lengthy reply. Gratitude first for coming to Byron, for attending the monologue and for buying the book. Also for your comments about my honesty. As to the “out of body” experience – well, I remain hesitant to even name it or think about it too often, lest it stops occurring. But to answer briefly, it was on the Camino Frances that it first happened for long periods of time. I’d felt it before then but never for extended time. It still happens when the circumstances are right – but sadly they can’t be manufactured it seems! Not sure if it is out of body or deeply in self. Whatever, it is good. As to stimulants – I’m a glass of wine, cup of coffee or hit of chilli person! Ayahuasca is probably not for me! But thanks for the links and tips. Hope the book continues to provoke for you and huge thanks for writing. Yes,wine (and beer),coffee,chilli (or rather Tabasco sauce) and pasta are probably my four major food groups too. I was wondering if you actually see yourself walking,like your real eyes are floating above you and you are actually seeing yourself and your consciousness is actually up there,or if you are just imagining that you can see yourself,if it is the later then we are on different pages. When I saw myself I (my consciousness) was literally outside of my body.Reading your book I thought that’s what you were saying too,but maybe I got that wrong? “Reality Sandwich” is a good site,it is not really about drug induced experiences,although there are articles about that too.Take a look through it before you make a decision and who knows,maybe you’ll be writing articles for them as well? It’s a site more about positive social change than drugs. Apologies for lack of clarity. As I said, it’s tricky to achieve precision typing one-fingered on a handheld device! Yes. I suspect we are talking about the same thing. I’m just always hesitant to name the experience, because that feels like I know more about it than I do. I don’t know what is where when it happens – only that something that feels like me is watching something that appears to be me. Apologies for sounding vague. It’s just that when it happens I am “in” the experience so don’t seek to define it, and when I am not having the exoerience it is hard to explain. But I think we are talking the same thing! And I didn’t mean to sound like I was dismissing the site. Humour is also hard, one-fingered! I will look at it properly when I have access to a full screen again. It looks intriguing. Thanks again for the recommendation. Now to rest this digit! Cheers! I’m up to page 84 of your book (I’m also reading two other books I picked up at the BBWF…that’s why the slow progress) and I’m really enjoying it. It was news to me about the 22 000 Poles massacred in Katyn in 1940,and even though I followed the media reports about the Russian plane crash at the time,I don’t remember our media mentioning the massacre.So there is something I have learded through reading your book.